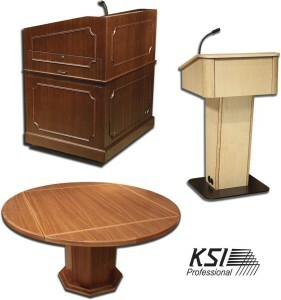 For more than 35 years KSI Professional has been manufacturing premium Lecterns, AV Furniture, 2×2 Ceiling Speakers, Conference Tables, Credenzas, Carts and Custom Presentation Furniture for the Educational, Health Care, Government, Corporate and Military sectors. KSI Premier Line™ – Standard and Custom Lecterns, Presentation Desks, Credenzas, Conference Tables, Educational Presentation Carts, and AV Furniture featuring a vast array of options and accessories. 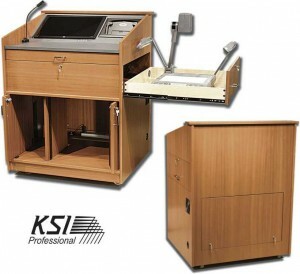 The KSI Premier Line™ is fabricated from real wood veneers, solid woods, metals and laminates. Our finishing process provides you with a durable, ultra smooth finish that lasts for years. KSI Essential Line™ – Lecterns, Desks, Credenzas, and Carts feature our most popular features. The KSI Essential Line™ is fabricated from real wood veneers and finished in our premium ultra smooth lacquer. 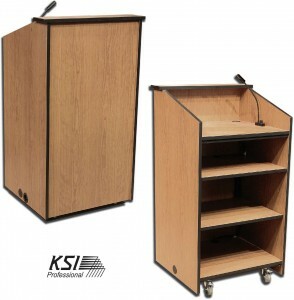 KSI Advantage Line™ – Lecterns, Desks, Credenzas, and Carts fabricated from Eco-friendly Melamine. This is our most cost conscious option. 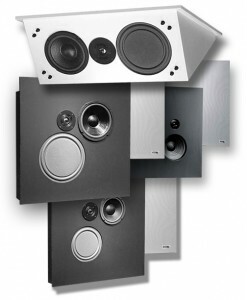 KSI Loudspeakers – KSI 2×2 grid Ceiling Speakers, Wall Mount Speakers and Near Field Monitors are know for their superb sound quality and ease of installation. Tens of thousands have been installed in many of the world’s top universities, corporations and government facilities. We are happy to work with consultants, architects, and end users during the design stage of any job. Just give us a call or fill out the contact form and we will be glad to assist you.